SellYourMac.com (SYM) makes it easy to buy, sell, and service Apple products.SYM saves time and provides cash back for people, businesses, and organizations by purchasing their used Apple products. For people who value their time, the benefit can be immense! For someone that makes $50 an hour, this could translate into $1800 of upside by switching from an iPhone 7 to an iPhone XS, or $900 for someone making $25 an hour. For people that say they won’t get anymore work accomplished by saving minutes each day, you can spend that precious time with family and friends or on yourself. A few extra minutes daily can have radical change if you focus that energy on forming a new healthy habit, investing a few more minutes nurturing your kids, or showing your partner how much you love them. No more excuses to say you don’t have another minute to work on your dreams, or check off one more item on your to-do list. Now you can buy back time by buying the latest iPhone. So whether you have an iPhone 6, iPhone 7, iPhone 8, or even an iPhone X, there is upside in you upgrading to the newest iPhone XS, XS Max, or XR - they are incredibly fast! Only potential downside is iPhone addiction with how amazing this new iPhone can integrate to enhance your life. Being faster and better, you might simply use it more. In that case, you won’t save time, but you may increase your productivity and overall satisfaction in life, and that is priceless. Signup for our mailing list (we promise not to spam or share your email) to download the spreadsheet and personalize the information for which Apple iPhone you currently use, your hourly pay rate, how many times you launch apps, unlock your iPhone, take photos, and edit photos, to see how much you can save by upgrading! 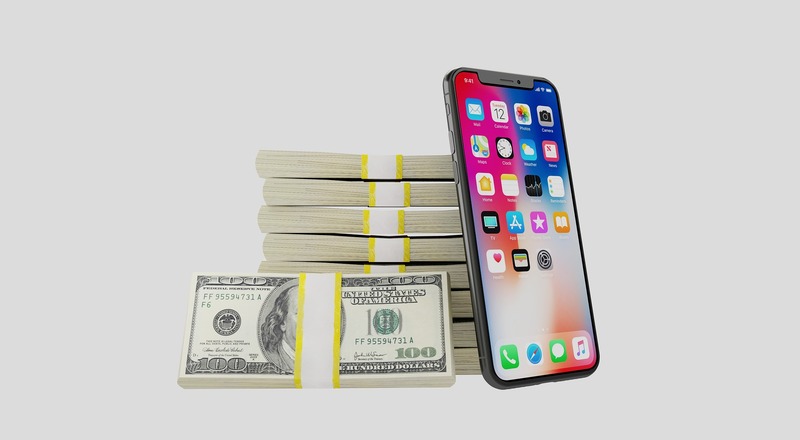 To maximize your savings after you upgrade, you can resell your used iPhone for cash back at SellYourMac.com. PS - see more examples below of how much you can save when upgrading from different devices at different hourly rates. Customize your total savings by signing up for the mailing list to receive the spreadsheet!